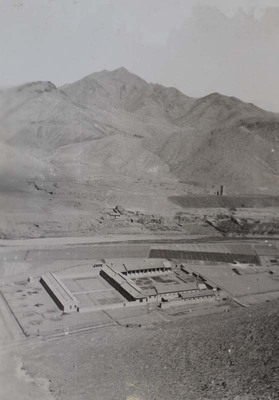 "General view of the seminary of the Congregation of the Discipuli Domi"
General view of the seminary (Emmaüs) of the Congregation of the Discipuli Domini near Xuanhua. General view of the seminary of the Congregation of the Discipuli Domini 1. 1932/1933. Société des Auxiliaires des Missions (SAM) China Photograph Collection, Whitworth University Library, Spokane.